← 5 Reasons to start running today! South Africa has the highest obesity rate in Sub-Saharan Africa, and every year our rate increases. 70% of this rate consists of woman, where men are only occupying a third of the amount. The disorder of obesity and being overweight is not only tackling adults, but also children; 1 in 4 young girls and 1 in 5 young boys between the ages of 2 – 14 years are overweight or obese. Obesity and being overweight is defined as the irregular or over the top fat aggregation that may impede the well-being of an individual. When your regular clothes are feeling tight and you need a bigger size. Having additional fat around the midsection. The scale demonstrating that you’ve gained weight. 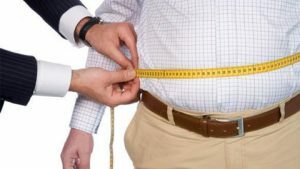 You must also calculate your Body Mass Index (BMI) by taking your weight in kilograms and then dividing it by the square of your height in meters. Obesity can result in cancer, diabetes, strokes, hypertension and painful joints and muscles. Fast foods and food that is oily, fatty and overloaded with salt. The intake of alcohol; many South Africans love beer, ciders and other types of alcohol with high sugar quantities. An increase in physical inactivity like daily exercise. Depression affects the mind, body and soul of a being, and causes a person to gain or lose weight, feel anxious, hopeless, guilt, and can activate other disorders such as insomnia and binge eating. Numerous people who are depressed tend to start binge eating, which results in obesity. These types of people try to disguise their depression and fill the void by eating excessively. Obesity and being overweight can be eliminated. A change in your diet and exercise routine can help. Kindly Contact us for a unique approach to weight loss.